What Do You Think Of The Equality Hub Network? 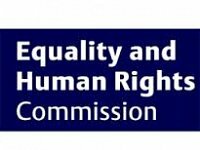 Sheffield’s Equality Hub Network is looking for people to give their opinion on how it is all going.The Hubs were established five years ago to give people a real voice in influencing both the work of Sheffield City Council and things in the city more generally and they would like to see if that is happening effectively. Their survey closes on 28 March. Calls are being made for change as disabled people say they don’t feel they are well represented in either broadcast or printed media. Essentialaids.com have created a colourful, thought-provoking campaign that helps represent disabled people and their mobility products in a fresh, exciting way. The campaign is hopefully helping to get others to rethink how disabled people are portrayed – or sometimes just being plain ignored.